I don't intend to create pages for the reservoirs, as the information is already covered in vast detail at the excellent http://www.white-coppice.co.uk/rivington_reservoirs.htm. 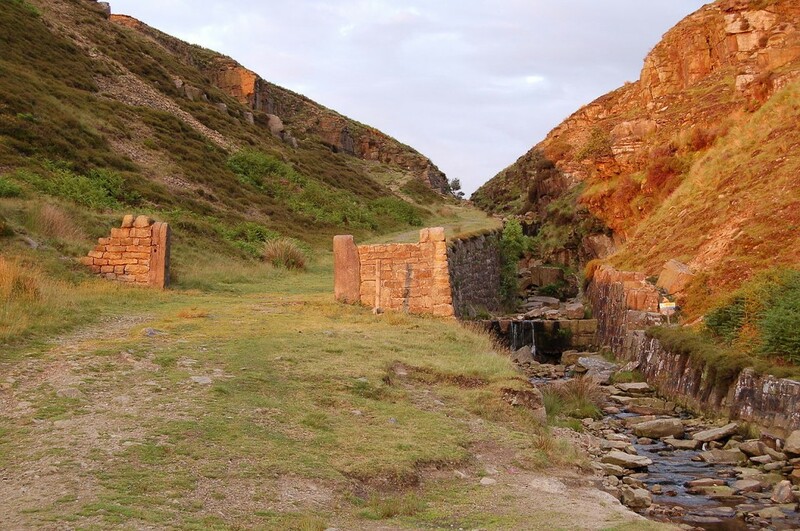 The principal river of the moors is the Yarrow, although up here, it's tributaries are of a similar size. Yarrow was Yarwe in 1530, and it is a common name for streams over Europe. A corruption of the Celtic garw, it means rough, and features in the names of the larger rivers, the Garry, the Yare, and even the French Garonne. 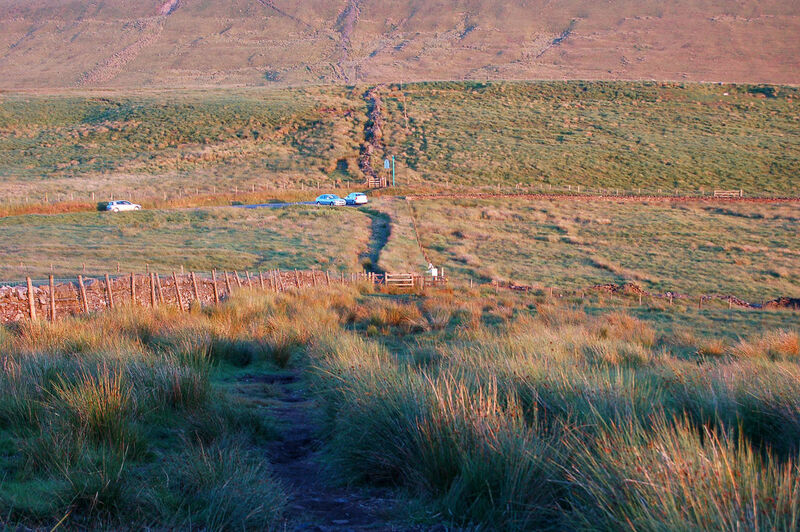 The source of the RIver Yarrow on the Chorley - Blackburn and Darwen boundary, between Rivington and The Black Dog at Belmont. The Yarrow itself is the easiest river to source. Park at Will Narr and the source of the river is at the first gate heading North. The source can be beneath the gate, or some distance to the East or West depending on the water levels at the time. An unmarked path traces the course of the Yarrow downhill through a valley, bridge and waterfall where it meets a second, smaller leg of the Yarrow from Hempshaw's ruins. The Yarrow here marks the CROW / Access Land boundary, and it joins Green Withins Brook near Simms before flowing on to join Limestone Brook at Lead Mines Clough. Incidentally, Clough is from the word cleave, which means a hollow in the hillside, and is allied to the Icelandic word, klofi. Green Withins Brook starts along Redmonds Edge near Standing Stones Hill. There is a route, partly marked and partly unmarked, where you can trace the route of Green Withins Brook from source to confluence. This is easiest accessed by parking at Will Narr and walking along the edge to the drop-off where Spitlers and Redmonds Edge meet, then following the sheep-track westwards. There are waterfalls and wells along this course, and a second source in the woodland that looks far more impressive on the maps than its virtual non-existance in the real world. Holts Flat is a much denser woodland. Dean Brook flows in from Cote Slack near Moses Cocker's Farm, and runs through Dean Wood. Dean is from the Anglo-Saxon denu, meaning a deep, wooded valley, which is certainly apt. Black Brook flows in from Great Hill where it was formerly known as Grange Water, and the gorge it cuts makes a fantastic walk and scramble. Black Brook at White Coppice. A fantastic scramble can be had up the gorge! It feeds the Heapey Reservoirs in turn from six into three (where you can see it as a road ford). It also feeds the Goit (known as RIver Cut in the 1800's). Black Brook meets the River Yarrow at Yarrow Bridge.